Sweden’s national police chief Dan Eliasson on Wednesday presented his report on the “vulnerable areas.” in the country. The situation is pitch black. 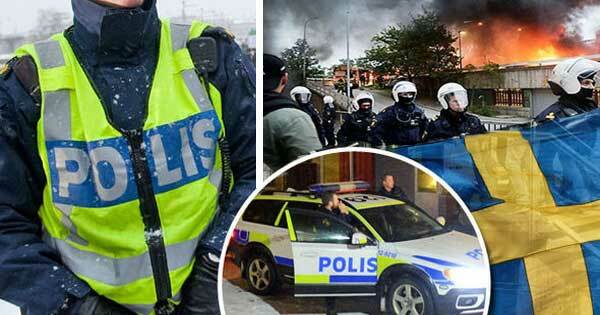 Sweden now has 61 areas where everything is out of control. – The situation is acute, says Dan Eliasson. He is accompanied by Linda Staaf, who heads the intelligence unit at Noa (National Operational Department). She says the violence has become more serious. – The ruthlessness is greater. Earlier one got shot in the leg to scare, now one gets shoot in the head to kill, she says. Linda Staaf tells how children as young as 9 operate as couriers and bring weapons and drugs to older criminals. They are being drilled into a criminal environment. – They are protecting their turf and retribution is common, she says. – Public services suffer in these parallel societies. It has become too dangerous to enter without police protection. – We also see pressure on the authorities in these areas, Linda Staaf continues. – Both direct threats and damage, and in certain cases authorities need police protection to carry out their work, she says. National police chief Dan Eliasson says the police need to get together, and he also turns to the rest of society. – Other social actors, help us, help us, he says. The large Swedish newspaper Expressen is merciless after Eliasson asks for help from everyone else in society. Police have lost control, states the newspaper. It’s increasingly hard to disagree, even for the most liberal lunatics.